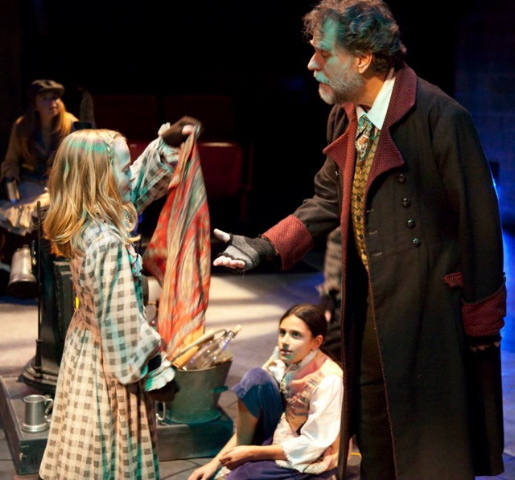 My husband and I recently attended Lakewood Playhouse’s production of Oliver! We went to the December 22 performance, and since closing night was December 23, this post unfortunately comes too late to send more audience members to the show. But we loved the production, and I’m writing this post in appreciation not only of the fine performance but the good-heartedness I happen to know was behind it. I became closely acquainted with this musical in ninth grade, when I sang in the chorus of a high school production of it, and I have liked it ever since. I especially wanted to see Lakewood’s production of Oliver! Because it was directed by Casi Wilkerson, who is one of my colleagues at First Presbyterian Church School, and because one of my fifth grade students, Charlie Stevens, was in the chorus. Apart from my fondness for them, Rory and I thoroughly enjoyed the show on its own merits. It was energetic, creative, funny and touching, bringing out the verve, poignancy, horror and ultimately the love in Charles Dickens’s classic story. 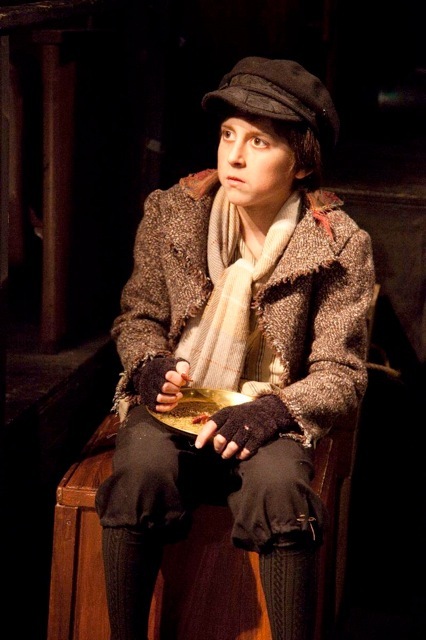 Casi’s son Mason convincingly brought to life the lonely but brave boy Oliver Twist. Steve Tarry gave a compelling performance as Fagin, the miserly ringleader and corrupted father figure of the London street urchins. 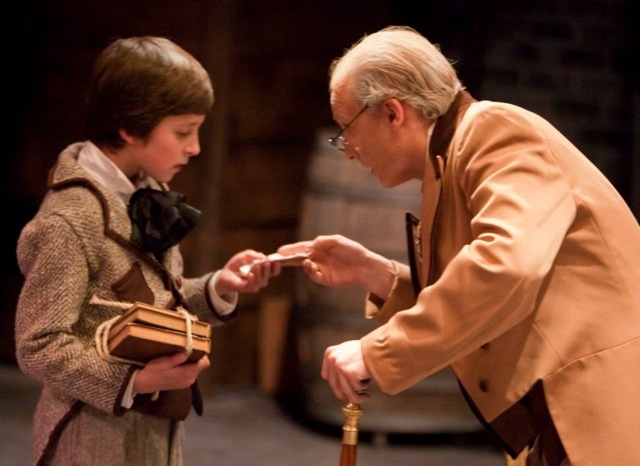 Coleman Hagerman’s performance as the Artful Dodger also heightened the energy and fear inherent in the story. In addition to the good acting, the performers also sang very well under the musical direction of Debbie Evans Armstrong, and Casi’s choreography added life and vigor to the show and helped to connect the music to the story. The sets, though uncomplicated, were effective, as were the Dickensian costumes. In addition to the cast members and directors I’ve already mentioned, congratulations go to stage manager Heather Hinds, temp artistic director John Munn, production manager Hally Phillips and technical director Larry Hagerman. Theatrically, musically and visually, the show was a pleasure. Yet I sensed (perhaps because I know Casi and Charlie) something deeper as well –a spirit of unity and joy that made this production a gift to the community. And the word community reminds me of something once said by the theater’s former artistic director, Marcus Walker, who used to be a pastor. He said that people long for a sense of community with others, and this is one of the great human needs the church is called upon to fulfill. Outside the church, he said, the closest thing he had seen to that kind of fellowship was in theatrical groups, because of the committed, unified way cast members must work together. I believe that when people like Marcus and Casi have brought people together to create something beautiful on stage, they have not only spread art in the community but friendship and trust. Marcus did this for the last time in the spring of 2011, when he staged My Name Is Asher Lev at the Lakewood Playhouse while terminally ill with cancer. Not holding back, he gave us a final gift. And in Oliver!, Casi and the Lakewood Players have continued the giving. This entry was posted in Life, Writing and tagged community by Connie Connally. Bookmark the permalink. Thank you so much, Connie. Your blog expresses perfectly the way I felt about this incredible show. It was an amazing gift. I am so touched by your post. Thank you so much. I am going to pass it on to the team so they can be blessed by it as well. Thanks again, Connie.